Geo - a division of the American concern General Motors, which existed from 1989 to 1997 and aimed at the production of low-cost compact cars. The company was established in close cooperation with Toyota and Suzuki. Together with these Japanese automakers, the production of Geo Metro and Geo Tracker models was launched at the CAMI plant in Canada, and at the NUMMI plant in California, USA, the Geo Prizm model. The models Geo Spectrum and Geo Storm were produced at the Isuzu plant in Japan. The cars of the Geo brand were sold through the Chevrolet sales network. The first years of brand cars were quite popular in the market, the sales level exceeded more than 300 thousand units per year. 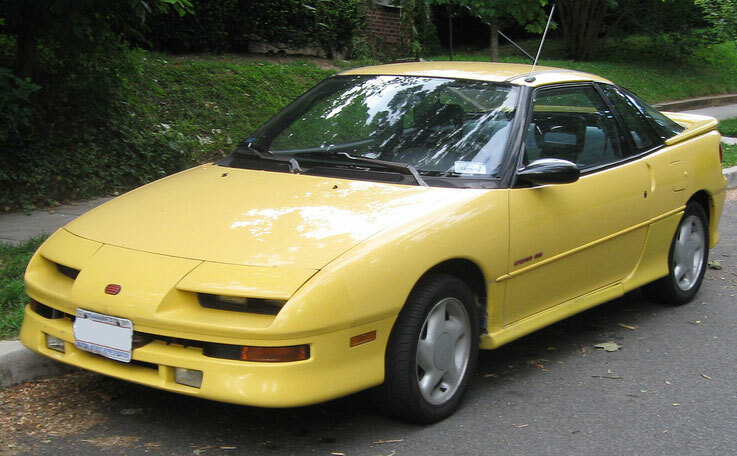 However, by the mid-1990s, demand for these cars had fallen. In 1997, it was decided to abolish the brand. All models of the company were given to the Chevrolet brand. 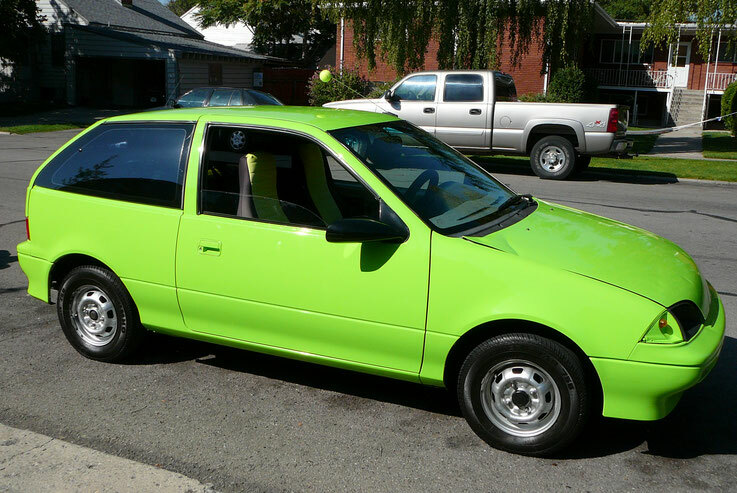 Subcompact car, produced from 1989 to 1994. Based on the Suzuki Swift model. There were available 3-and 5-door hatchback, sedan and convertible. Two types of engines were installed: 1.0 liter. (56 hp) and 1.3 l (70 hp). Geo Prism was a copy of the popular Toyota Corolla (E90 and E100). Was sent to replace the Chevrolet Nova. Produced in the back of the sedan and five-door hatchback. The Prizm was produced longer than any other Geo model: its production began in 1991 and continued until 1997. And after 1997 it was already produced under the brand Chevrolet Prizm. Geo Storm, like other models of the brand, was not an independent model, but a copy of the Japanese car Isuzu Impulse. The car was imported from Japanese factories. Compared with the original model, the Storm had a simpler design: a simpler suspension, there was no all-wheel drive version. The cars were equipped with gasoline engines in volume of 1.6 and 1.8 liters. 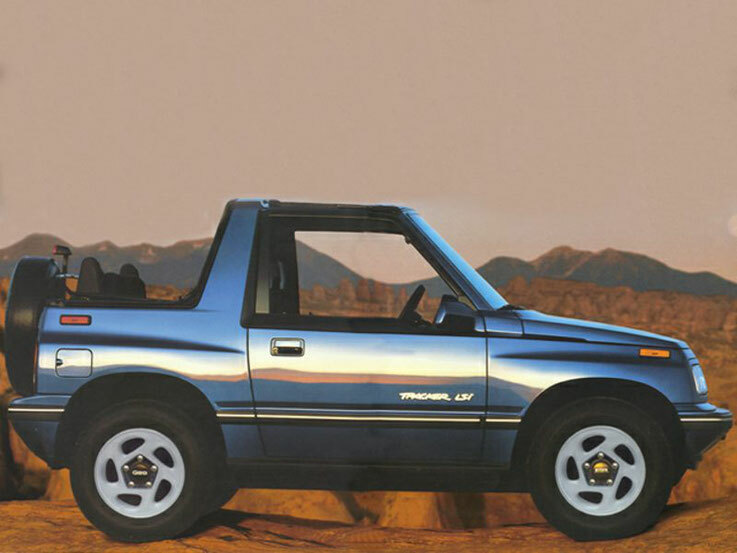 A compact Geo Tracker SUV appeared on the North American market in 1988. Originally it was exported from Japan, but soon there was production at a joint GM plant and Suzuki CAMI (Canada). The car was equipped with a 1.6 liter 80 hp engine. (After 1996 - 96 hp), a five-speed manual transmission and a fully connected drive. Production of this model continued until 1998, when it was replaced by a new generation of SUV, also a copy of Suzuki, but sold in America already under the brand Chevrolet.